A pure-blooded Filipina will represent Belgium either/both Miss World and Miss Universe beauty pageants this year. 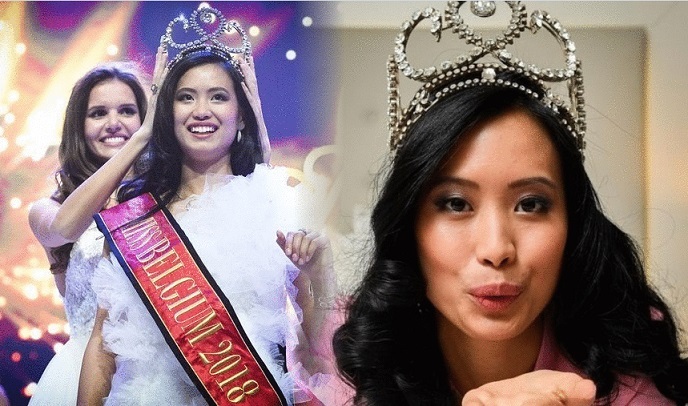 Angeline Flor Pua, 22-year-old aviation student, was crowned Miss Belgium 2018 at the Plopsa Theater, De Panne on January 13, 2018. Angeline bested 29 other beauties and succeeded last year's winner Romanie Schotte. Angeline speaks Dutch, English, and Filipino and understands French. Her parents are both Filipino who met in Belgium. She is not new in the glitz of pageantry as she was crowned Miss Filipino Europe in 2016.